Even if none of those descriptions quite fit, we’ve still got you covered. This list explores some of the best free malware and virus removal tools currently available to consumers. We’re not dealing with low-quality, fly-by-night software here either. We fully vetted each program against a set of rating criteria of our own. Among the most important factors we considered with each of these is how they define “free.” Whereas some software only offer free trials, or “free” virus removal tools that don’t work unless you pay up first, all of the options on this list are legitimately free-to-use and can be used to remove viruses and malware without paying a dime. We’ve found that some of the best free malware, rootkit, and virus removal tools come from highly respected companies in the software security industry. Our software list below covers Windows computers only. If you’re a Mac user looking for virus and malware protection, please check out our article on the best Mac antivirus programs. Additionally, for more information on the kind of criteria we used when researching our list, check out our detailed analysis of what to look for in antivirus software. For each of the free virus removal programs below, we’ve identified why we like this software, a few key details regarding what you can do with it and for a complete picture, what limitations you’ll find using the free version. Most of these free virus and removal tools can be upgraded to a paid version that expands on the features, sometimes significantly. It’s important to note that all free virus and malware removal tools will have some limitations overpaid versions. For example, some free software may not remove all forms of viruses, including certain types of spyware. And most free antivirus tools are feature-limited compared to their paid alternatives, so they won’t include advanced features like anti-tracking browser extensions. While free tools can get the job done most of the time, there may be an occasion that requires just a bit more *umph* than a free tool will provide. When it comes to antivirus tools, Avast doesn’t play around. 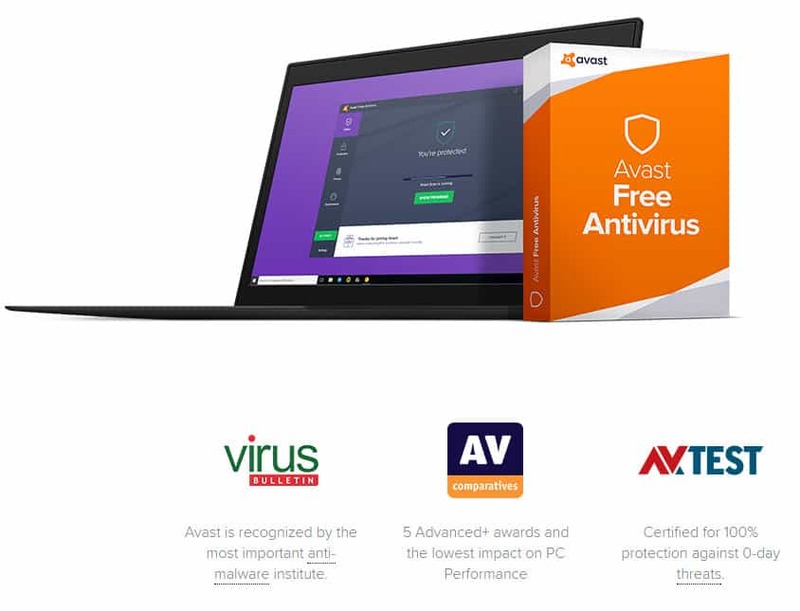 Avast Free AntiVirus is capable of taking care of multiple forms of malware, including trojans, rootkits, keyloggers and more. Their software is highly rated by independent IT security lab, AV-Test. In its August 2017 software tests, AV-Test gave this program 100% for both detection of 0-day malware attacks and detection of widespread malware. This marked an increase from AV-Test’s July 2017 review of the software, which was already near perfect. 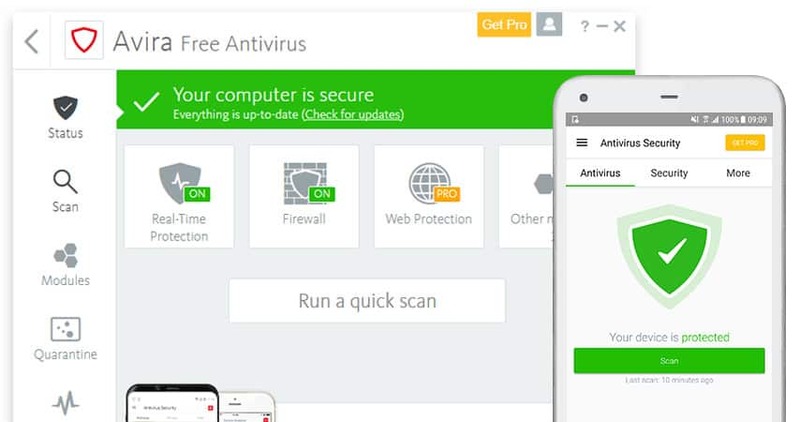 Avast Free AntiVirus offers up a secure option for those looking to get rid of some nasty viruses while saving money. However, Avast does save some of their best goodies for the paid version of their software. Free users miss out on some fairly interesting Avast AntiVirus features, including app sandboxing; a file locker for protection against ransomware; protection against webcam hacking; secure, permanent deletion of sensitive files; and advanced firewall, among other features. That said, this antivirus program is a solid, simple and low-profile virus and malware removal tool that can actively protect your computer against common threats. The AVG AntiVirus Free software is a personal favorite of mine. AVG formed its company in 1992 and brought its program over from the Czech Republic to the US in 1998. The company has offered a solidly free version of their software, and I’ve been a huge fan of it ever since. Simply put, AVG works. At times, I found their free virus and malware removal tool to be better than some of the more popular paid software at the time. Nearly 20 years later, AVG’s free antivirus program remains one of the best virus removal tools on the market, hands down. This is corroborated by AV-Test, which gives AVG AntiVirus Free high marks and its stamp of approval in the AV-Test August 2017 lab tests. The free version of AVG’s software takes care of your basic security risks to a highly effective degree. Want more? AVG’s paid version is noticeably more expensive than most other programs we’ve reviewed but does have a few interesting features, including enhanced firewall protection, an Android app, webcam spying protection, secure folders to help secure against ransomware, and fake website filter. Is the paid version worth it to you? Depends on what you’re looking for. But if all you need is quality virus removal and real-time protection, AVG AntiVirus Free is a great option. Comodo is a leading brand in internet security. Not only does the company offer a large suite of security software, it’s also one of the more respected dealers in SSL certificates for websites. Comodo offers their Free Anti-Malware BOClean software without any strings attached. Unlike some of the other options on our list, you’re not getting a slightly neutered version of a paid option. Instead, BOClean is a standalone product from Comodo designed to rid your computer of unwanted programs. With so much packed into one small package, it’s easy to see why Comodo is a leader and the industry and why their BOClean is a popular choice. Should you want more, BOClean is included in Comodo’s Internet Security software. However, if all you need is a free tool, BOClean is hard to beat. Adaware has three antivirus software tools to offer. Its two paid versions offer a large library of features, including parental controls and a digital file locker (Total package only) as well as an enhanced firewall and online shopping protection (Pro and Total versions). Contrary to the name, Adaware offers more than just adware removal. Perhaps the biggest limit to this program is the fact that you don’t get any tech support with the free version. You’ll need to upgrade to the paid Total or Pro versions in order to access any real-human support should things go wrong with the software. There is a forum and an FAQ section on the site, but from our experience, these are often unhelpful. Overall, Adaware really is a no-frills antivirus and malware removal solution. If all you need is something simple and free, it’s a good option to entertain. There’s a very good chance you’ve heard of Norton. Their primary paid option, Norton Security, not only received top marks from AV-Test, the independent testing lab gave it a coveted “Top Product” stamp of approval. By consequence, Norton’s internet security measures are fairly trustworthy. That includes their Power Eraser, which takes some of the winning security methods applied to their paid software and packs them into a powerful malware removal tool. Note that Power Eraser is specifically designed for “crimeware,” e.g., ransomware or other identify-stealing viruses. Norton also claims that their Power Eraser tool is designed to get rid of viruses that most other programs won’t get. This tool is actually fairly aggressive, although relatively light on system resources, given its singular purpose. However, that aggression means it may result in a number of false alarms. If you opt for Power Eraser to get rid of your virus or malware problem, make sure to carefully review the report before fully deleting anything. Certain types of software, including VPN software or other virus software, may get wrapped up in Norton’s sticky snare. RegRun Reanimator from Greatis Software takes a vastly different approach to malware and virus removal. Greatis expressly states that RegRun is not an antivirus software tool. In fact, unlike most of the other options we’ve listed, RegRun Reanimator does not include real-time protection. Instead, Reanimator is designed to remove trojans, adware, spyware, malware and some rootkits. That’s where its similarity with antivirus programs ends. When you run Reanimator, it creates a log detailing what viruses it’s discovered on your system and where they are located. Users then send that log file to RegRun’s tech support team which analyzes the file and sends back another file that executes the cleaning and virus removal produces through the REAnimator software. Sound complicated? It is. But RegRun Reanimator is one of the only options available that puts a human touch on the virus removal procedures. That said, if you need something more immediate, RegRun Renaimator may not be for you. The company says it takes 1-2 days to get a response from tech support with your executable file. RegRun does utilize a more traditional antivirus software option through their Security Suite. The Reanimator is what the company describes as a “function limited version” of their commercial software. Consider RegRun Reanimator an option if the other more traditional virus removal programs fail. EMCO is primarily a networking software company. In fact, of their large suite of software, only two applications actually focus on malware and virus removal. One such option, Network Malware Cleaner, is designed to detect and clean malware over networked PCs. If you want real-time protection, EMCO is not going to be the option for you. And if you want the option to use a free program that can be expanded with a paid option in the future, you’ll also need to look elsewhere. EMCO’s Malware Destroyer does one thing, but it does it well. Bitdefender is an interesting option. The highly respected internet security company not only has a Top Rated stamp from AV-Test comes highly rated by AV-Comparatives as well. The free software offers a large array of free tools alongside its paid antivirus suite. While the paid version is particularly worthy of attention, the free tools are capable of standing on their own. That’s not all. Should Antivirus Free Edition find malware it can’t clean, Bitdefender may still have a virus removal option for you. 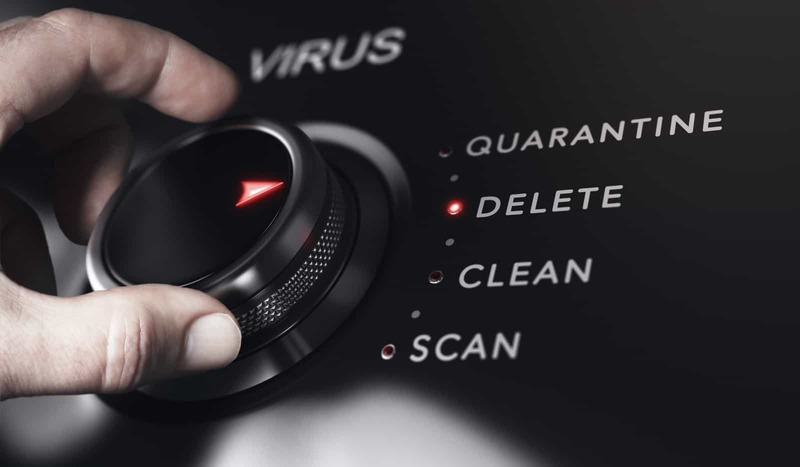 Bitdefender offers free virus removal tools for specific named viruses. You can just type in the virus name that into the search engine and see if there’s a tool available to remove that virus. Bitdefender does offer an upgraded version of its software for a price. However, the free version is so inclusive that it’s somewhat hard to justify paying full price for the complete software suite. With a free virus removal tool and even more free options for particularly troublesome viruses, Bitdefender is a go-to option for troublesome malware. If eScan Anti-Virus is new to you, you’re in good company. Prior to researching this piece, I’d never heard the name before either. But research interestingly reveals hidden treasures, and eScan appears to be one of them. A small name in compared to some of the much bigger enterprises on this list, eScan more than proves its worth. AV-Test gave eScan’s main product one of its few Top Rated stamps alongside high ratings for performance and functionality. 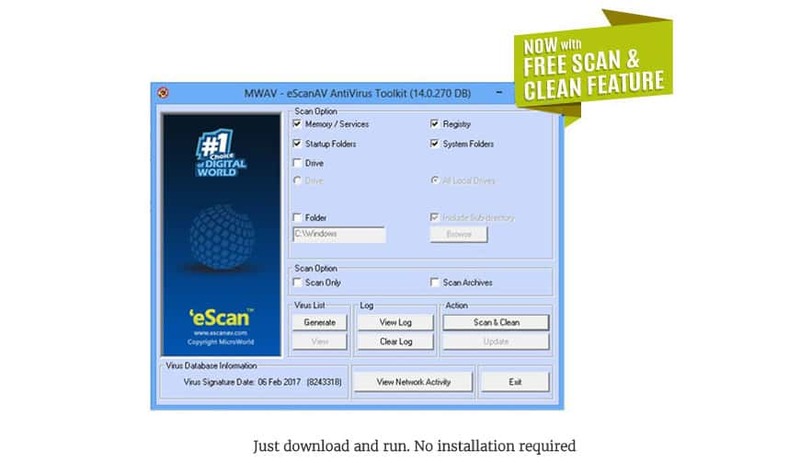 The Anti-Virus Toolkit offers many of eScan’s virus removal tools and offers them free for users trying to save a buck. The benefit to this program is that you can run the software from anywhere, including a USB flash drive. That makes eScan Anti-Virus Toolkit worth having on a separate flash drive just in case you get a virus that shuts off access to your programs. We highly recommend Anti-Virus Toolkit as a viable option to add to your virus and malware removal toolbox. *Note: eScan has a primary Anti-Virus program that offers a free, limited trial. This is NOT the same thing as the toolkit, and is somewhat difficult to locate on their website. Use the above link to go there directly. Otherwise, you can find the Toolkit under the “Support” section from eScan’s main homepage. Another AV-Test Top Rated product, Avira Free Antivirus for PC also has the distinction of receiving Advanced+ and Gold status from another independent testing lab: AV-Comparatives. With Avira, scanning occurs in the cloud, which helps identify unknown viruses and computer exploits, disregarding the need for downloaded library of virus definitions (which Avira does also include). Avira Free Antivirus for PC can also identify and remove potentially unwanted programs (PUPS), also known as potentially unwanted programs (PUAs). Negatively, Avira helps support the free version of its program by including ads. Should you decide you want a little bit more out of Avira, or just want to do away with the ads, a paid subscription to Avira Antivirus Pro may be up your alley. Not only does the paid version remove ads, it also allows you to install the program on up to 5 devices with the same license, alongside guaranteed phone and email support. Avira Free Antivirus for PC offers an award-winning option with a high-powered virus removal tool. Well written article. Thanks for sharing here. Comodo’s cWatch is also one of the best free malware tool available in market.! You can also include that.